Importing Facebook Cost Data for your direct response traffic campaigns into Google Analytics can provide multiple benefits. First of all, it allows you to look at all of your Facebook Cost Data and Site Visitor Behavior aggregated in a single place. This makes reporting easier, whether analyzing data inside of Google Analytics, pulling data into a spreadsheet, or using a third party reporting platform. Furthermore, with cohesive campaign tagging, your imported Facebook Cost Data will now properly map site visitor campaign data. 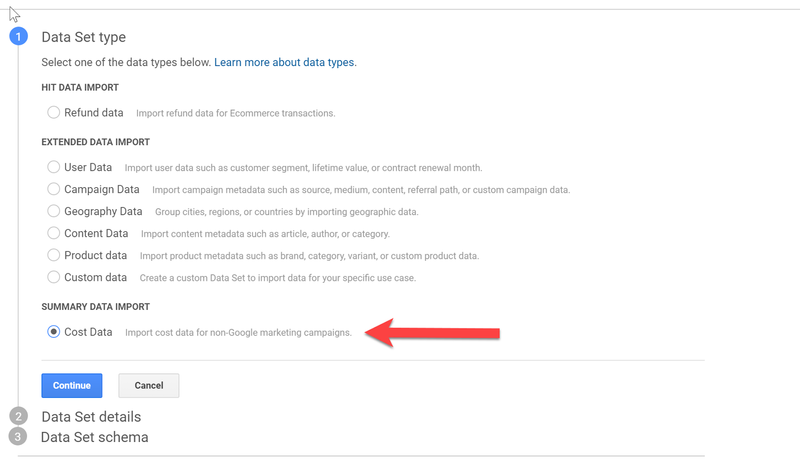 As a result, importing cost data into google analytics provides a complete picture of campaign performance. In addition, you get more insights into campaign effectiveness with campaign attribution using the Google Analytics available attribution models. You can read more about campaign tagging here and seamless campaign mapping here. Ok, let’s go ahead and set up our Cost Data Sets to import Facebook data into Google Analytics. 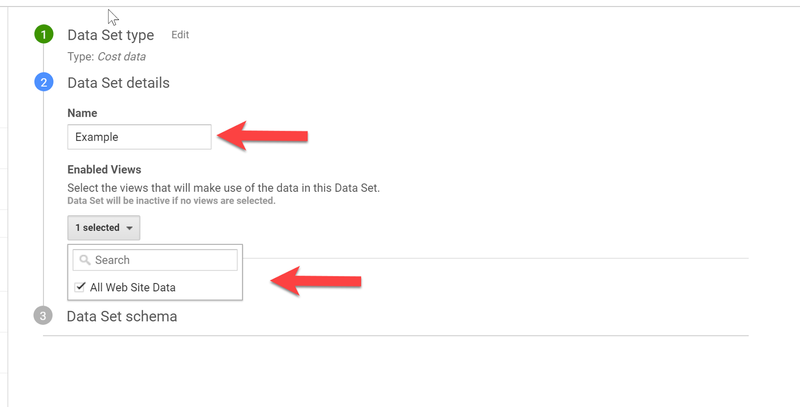 Select the admin tab and navigate to the property to which you want to upload the data and click Data Import. This will display the Data Sets page. Create a new ‘Cost Data’ data set to hold your imported data. Important: Set the import behavior to overwrite and click save. 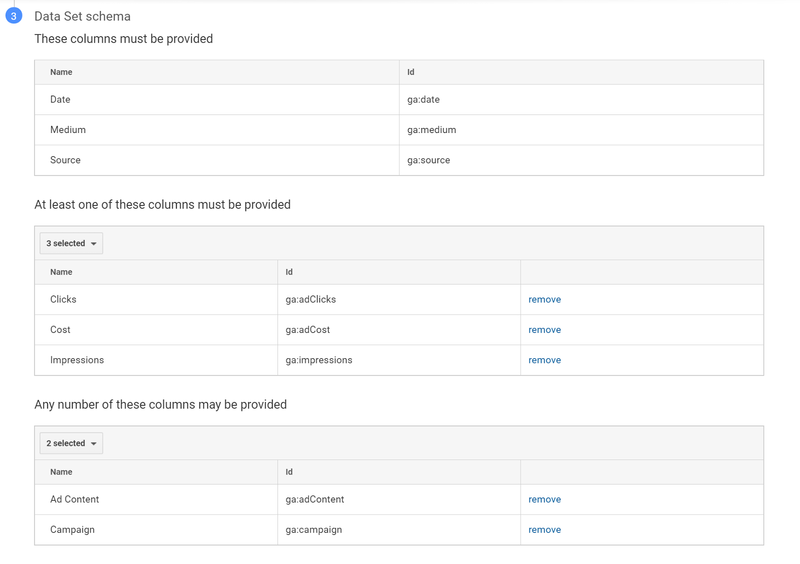 You should now see your Facebook Cost Data set as an option in EasyAutoTagging’s GA Connector.